This was shot from just below Dream Lake. 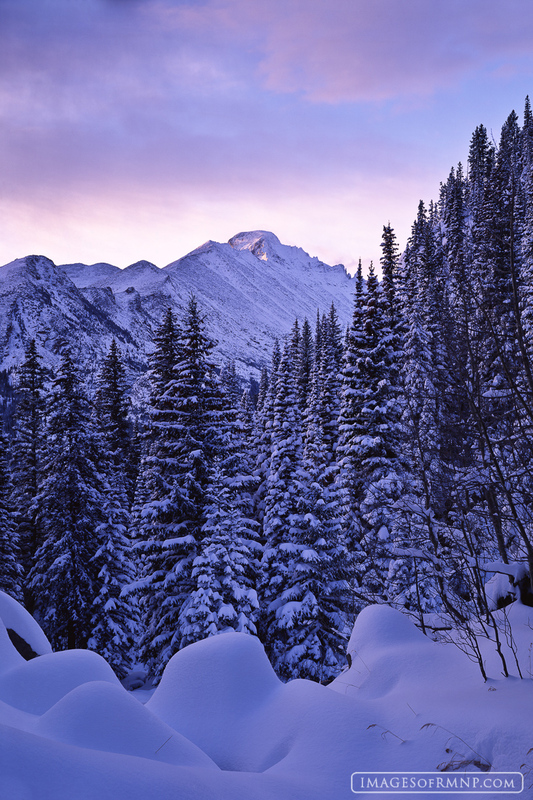 A fresh snow covered the entire valley as the first rays of the sun lit Longs Peak. This web version of the image doesn't do it justice as there is an amazing amount of detail to be seen such sunlit clouds hovering just below the top of Longs and the first rays warming up the East face of Longs. Photo © copyright by Erik Stensland.